"Stan Szelest was a living fountain of rock and roll piano, a one-of-a-kind player. His prescence, the way he could play piano, was overwhelming. I tried to play what Stan was doing with his left hand. I wasn't stealing. I was learning. One night, Stan gave me a look while I was copying him. He stared at me with a super-conscious look in his eye - and magic! - all of a sudden I got better at doubling his left hand. He had transmitted some powerful force to me. Stan could just give it to you if he wanted." Piano/keyboard player Stan Szelest from Buffalo, a well-respected and professional musician that everyone refers to as "the great Stan Szelest", was only seventeen years old when, in early 1960, Ronnie Hawkins hired him to enrichen the sound of the Hawks after guitarist Jimmy Ray "Luke" Paulman had left the group. At this point the Hawks were Levon Helm on drums, Robbie Robertson on bass, Fred Carter Jr. on guitar, and Szelest and Will Jones doubling on piano and keyboards. The configuration was soon altered when Robertson took over as lead guitarist from Carter and Rebel Payne came in as the new bass player. When Rick Danko replaced Payne in 1961, Stan Szelest became Danko's musical teacher. Szelest stayed with the Hawks for over a year. When he left in 1961, Richard Manuel was called down from Canada to Arkansas to be the Hawks' new piano player. The Ravens, Buffalo, NY, 1962. 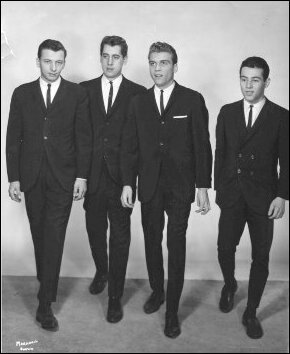 Left to right: Chuck McCormick, guitar, Pete Haskell, bass, Stan Szelest, piano, Sandy Konikoff, drums. The Ravens at Lulu Belles Restaurant on Best St. in Buffalo in November of 1961. 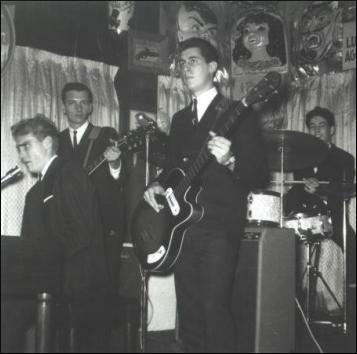 From left to right are Stan Szelest, Chuck McCormick, Pete Haskell (playing an old Kay electric bass), and Sandy Konikoff. 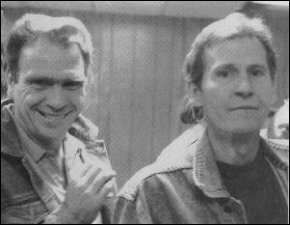 In the summer of 1984, Stan Szelest and Levon Helm played together again as members of the short-lived septet The Woodstock All-Stars. By the end of 1990 Szelest became a member of the reunited Band, as they were getting ready to record for CBS, writing songs, recording, and rehearsing with Garth Hudson in Woodstock. In January 1991, Stan Szelest died of a heart attack at the age of 48. Some of his electric piano work can be heard on the Band album Jericho, where he also co-wrote the Richard Manuel tribute "Too Soon Gone".